Clara has been employed as a process engineer with Hunter H2O since December 2003 and has been involved in a wide range of projects; including water, wastewater and reuse. Clara has lead and facilitated a number of Hazard and Critical Control Point (HACCP) workshops. Clara has also been involved in facilitation of Hazard and Operability (HAZOP) workshops using the industry leading process hazard analysis software PHA-Pro. One of her major projects has been the development of software as an online resource of operational information for water and wastewater facilities, called the Knowledge Management System. This System is in place in 6 water authorities around Australia and requires allocating resources, collating and creating operational material and procedures and training. 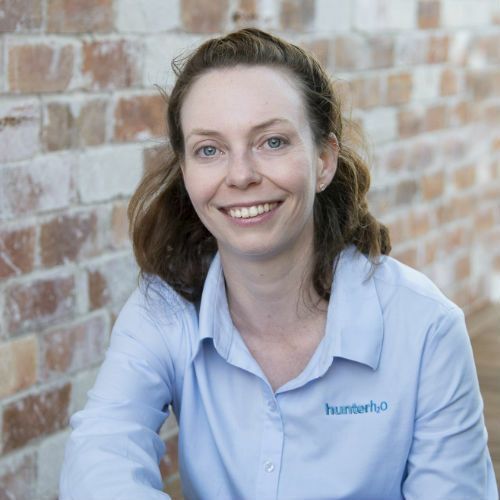 Clara also manages and coordinates Hunter H2O Western Australian on-going external contracts to provide technical support and expertise in the operation of a water quality optimisation and water treatment plants. This has included reviewing carbon dioxide stripping / aeration optimisation, iron and manganese oxidation, installation of chlorine gas systems, filter refurbishments and full WTP concept design. Clara has recently been recognised for Best Water e-Journal Paper Award for her paper, titled ‘Understanding Naegleria Fowleri: A Different Type of Pathogen, an Increasing Climate Change’ at the 2018 Australian Water Awards in Brisbane.